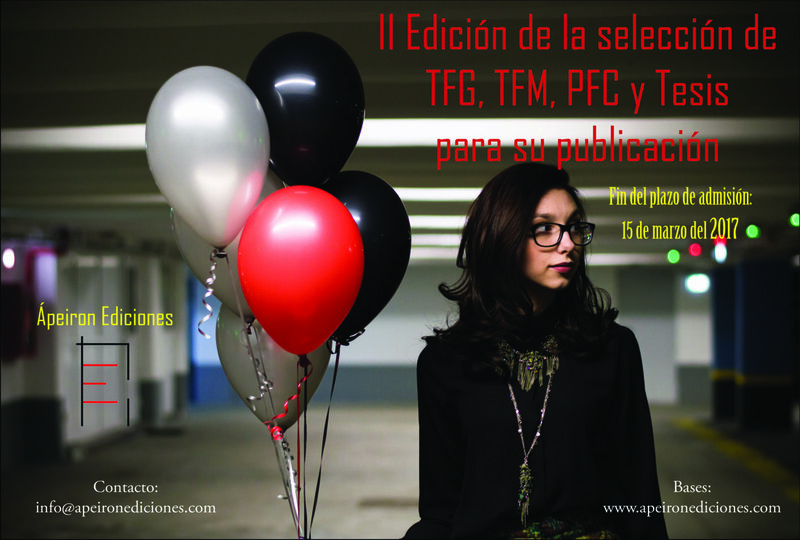 This call has as its objective the publication of academic work (TFG, TFM, and PFCS) and thesis in Ápeiron Editions. Selected papers will be published both in electronic format and on paper. In eBook format will be published using a PDF file protected against printing and modification of the same. In a printed format may be purchased by publishing POD. Those works that are selected will be published in the collection Faber & Sapiens imprint Ápeiron Editions. Once selected, authors will sign a publishing contract that will include the rights of the author and the conditions of Ápeiron Editions. No work will be published without the signing of this contract. 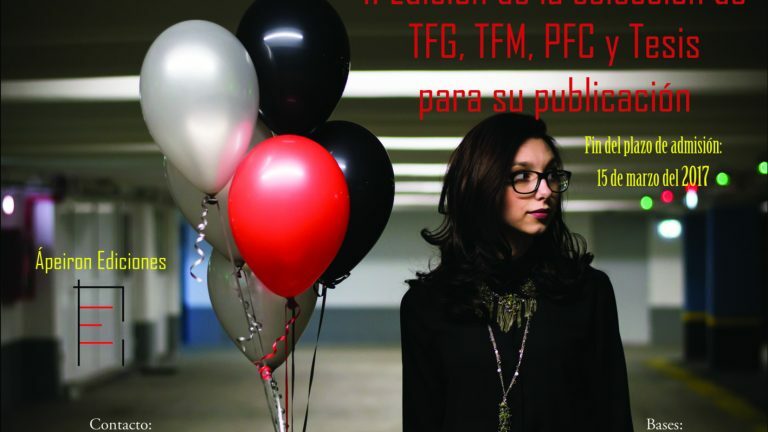 Manuscripts should be sent to info@apeironediciones.com in Word format, indicating in the subject “TFG, TFM, PFC, or Thesis, – “Title of work””. The work will be written in English, font Times New Roman, body 12, and double space. The top and bottom margins must be 2.5 cm, and left and right 3 cm In a separate file, with the name and surname of the author, stating the author’s mailing address, e-mail, phone and ID number, as well as the job title, university, date of submission, and the director or guardian of the work, a biographical note (maximum 110 words) and a summary of the work (maximum of 180 words). All submitted works must belong to races and masters of the branches of Legal Sciences and economics, Communication, Humanities and Social Sciences. Do not accept any work that does not meet this requirement. The deadline for submission of papers ends on Wednesday 15 march 2017. The acceptance will be communicated only to the selected order of presentation of papers before June 15, 2017.